This is NOT A DVD, this is Downloadable Content. Integrative Defense Strategies is about more than just being a Citizen Defender. We are also (and mostly) about becoming better people through positive resistance. 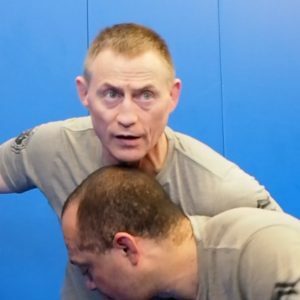 In this rare video legendary MMA Coach and Special Forces Instructor Greg Nelson shares pearls of wisdom, stories and life lessons he’s learned along his very rare life path, including being a two-time cancer survivor. This is one of those videos you just want to have on hand to help offer guidance, inspiration and fortitude when you need a little shot in the arm. This video is 1080p, downloadable mp4 format with a runtime of 52 minutes. The file is approx 2GB so please make sure you are on reliable wifi or better internet connection and that your device has ample free space to store video. Weapons Based Wall Work with Greg Nelson.